I was so busy trying to change the layout of my blog that I didn't get a chance to do both of the nails that I said that I was going to do for today. I wasn't even planning on changing everything; it kind of just happened! I think the new layout looks cleaner now, which is what I was trying to go for in the beginning. What do you all think of the new layout? Today's prompt is inspired by a tutorial! I love watching nail tutorials on Youtube and I was inspired to do a tutorial from one of my favorite Youtuber's: CreativeNailArt. I really love her tutorials and designs. They're simple, short, and very easy to follow. For today's nails, I followed her tutorial on these cute strawberry nails! I'll be putting a link to the video at the end of the post. I absolutely love these nails. They're so adorable! It doesn't help that my favorite fruit is strawberries either. 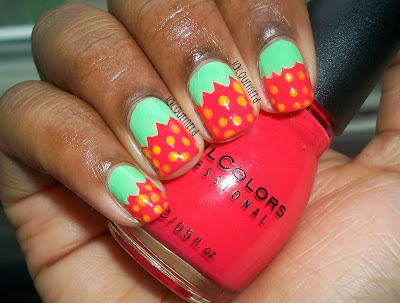 These were also so simple to do. 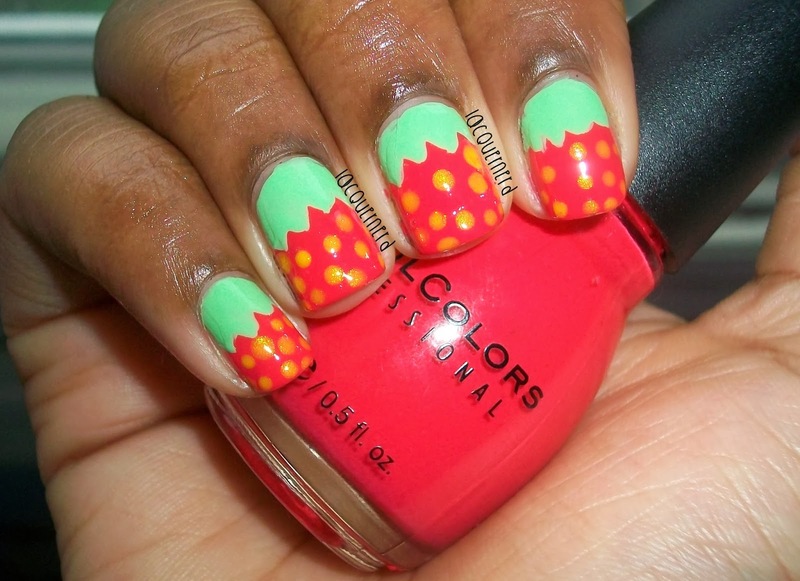 I remember trying strawberry nails a while ago and I wasn't successful. Now I know that I can do them! 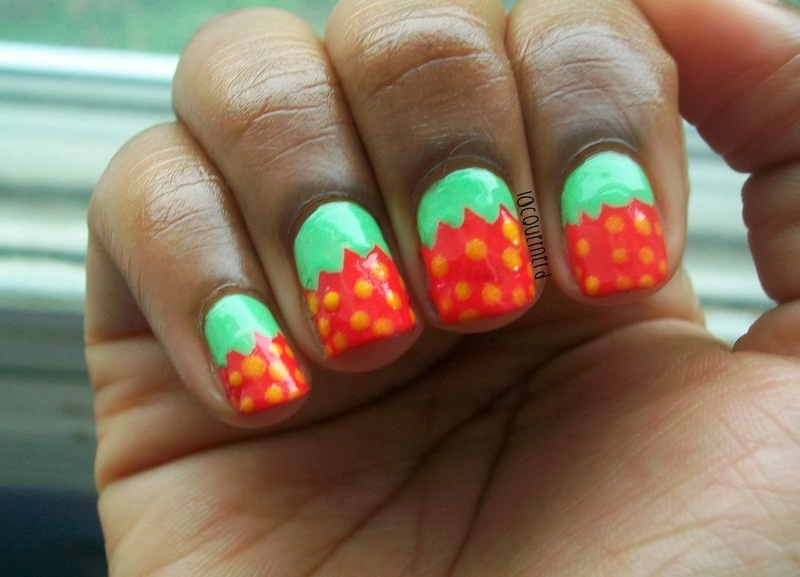 What do you think of these strawberry nails? Tomorrow is honor nails that you love!